The past two weeks have passed by in a blur. A blur of work. Going back to school after a five week break is hard*! So, whilst my blogging self is bursting with ideas, I’m having to pen them late at night when planning, preparation and assessment is complete for the day. I’m busy, but I’m happy. Starting work at 8am doesn’t leave much time to get ready in the morning. I value at least 7 hours sleep and sometimes it can be midnight before I make it to bed. Last year, choosing my work wear was a rushed job each morning and a bonus if it a) matched b) was ironed or c) all of the above. However, this year I’m making more of an effort to let my personality shine through and dressing as me is one way to do this. Kirsty’s post ‘Let’s Get Preppin” shamed me into organizing myself better, so far so good. I’ve made small steps, such as choosing my work clothes the night before. So, as last weekend passed in a blur of sickness and enjoying time with the boy, I thought I’d share my work collars with you. This started off as a twee Instagram shot one Monday morning, it quickly snowballed into a daily occurrence. 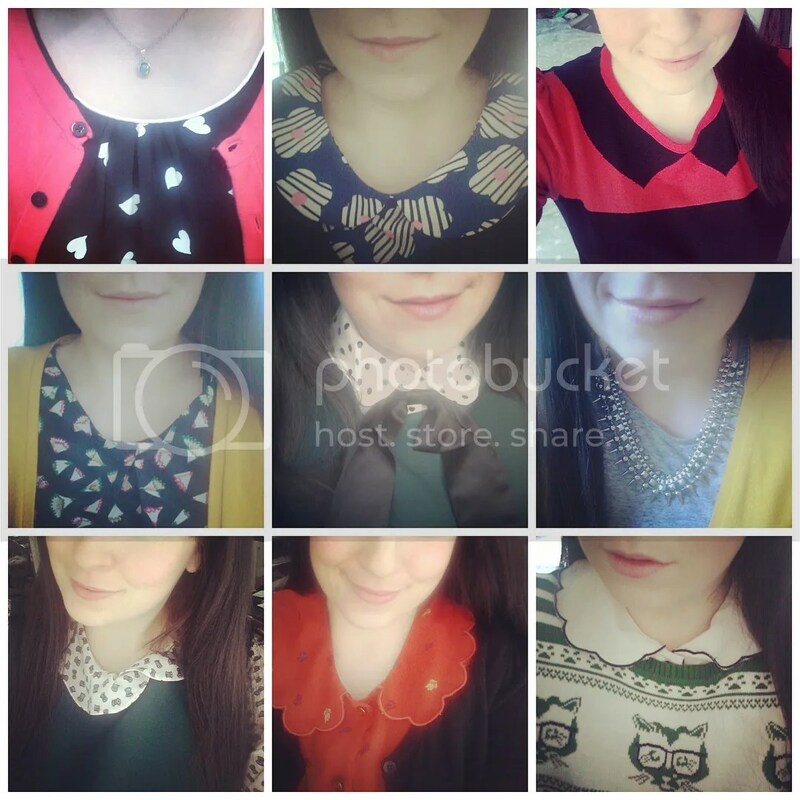 I never realized just how many scalloped collars and kitschy printed blouses I owned. Until now. It was never intentional, I just haven’t been able to resist them for the past 5 years and now I have quite a collection. I think my favourite is the pencil sharpening print dress. Do you have a favourite? *Hard but rewarding. I should mention that the 14 hour days and the 60 hour weeks are worth it. Teaching is definitely a labour of love, a rewarding labour of love that is.